Charles Gregory Alagood is a native of Little Rock. Greg graduated from Hendrix College in Conway, Arkansas in 1975. In 1984 Greg graduated from the University of Arkansas at Little Rock William H. Bowen School of Law and began practicing. In January, 2002, he began working with the title department at Beach Abstract & Guaranty Company. Greg returned to private practice with Mitchell Blackstock in October 2005. Over the years, Greg has frequently sat as special judge for various Pulaski County Circuit Court judges. Greg maintains a general, trial-oriented practice. His particular fields of practice include domestic relations, personal injury, education law, probate, real estate, criminal law, business and civil litigation. 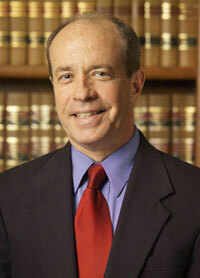 Greg is a member of the American, Arkansas and Pulaski County Bar Associations. Copyright © 2019 Mitchell, Blackstock, Ivers & Sneddon, PLLC.